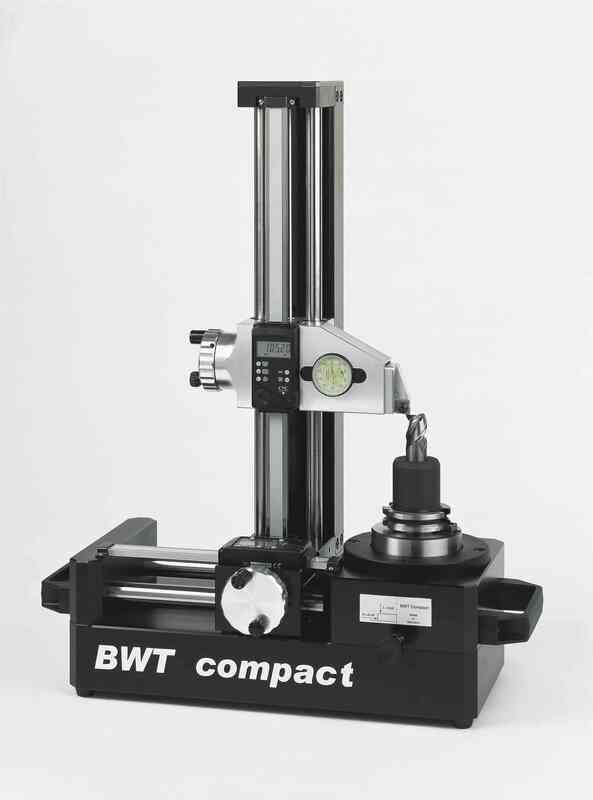 The practice-oriented functionality makes the BWT Compact tool measuring system an almost unrivaled presetting device with an integrated 2D button. The BWT is consistently designed for easy operation and therefore also allows use by untrained personnel. The low investment costs compared to electronically controlled camera systems, the BWT is the ideal introduction of tool measurement.. The integrated 2D-button allows easy measuring of cutting geometries. The precision dial gauge built into the 2D-button guarantees an exact touch on the tool cutting edge. Fast and precise pre-setting is ensured by the handwheels with fine adjustment in Z and X axis. In order to avoid damage, both hand wheels are provided with over speed protection. 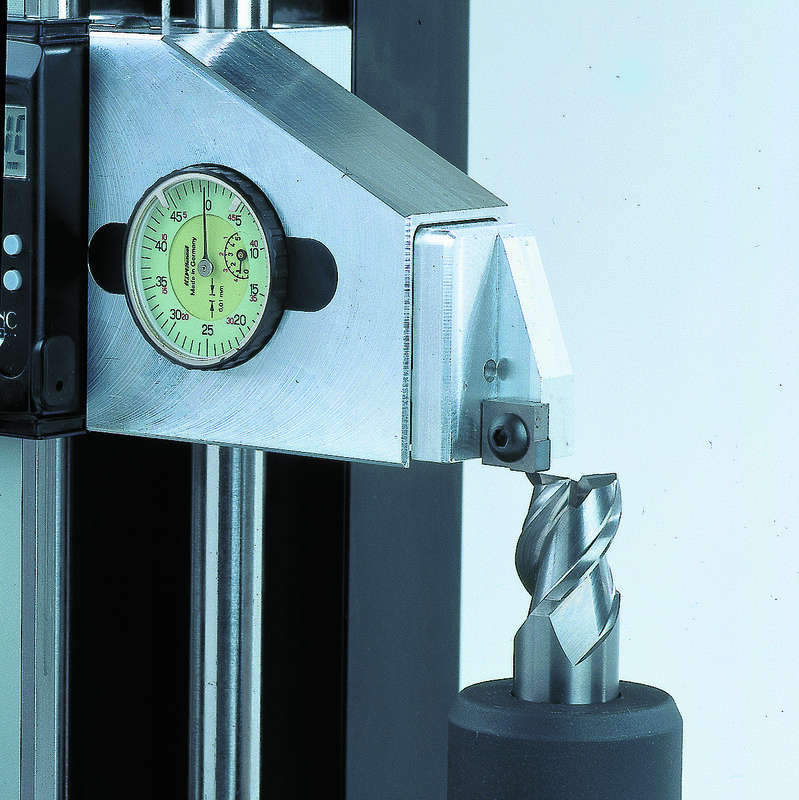 A proven measuring system from Mitutoyo and a precision-mounted tool holder make the BWT Compact stand out in an almost unique price-performance ratio. The basic structure of the BWT, consists of anodized aluminum precision parts, which are milled from the solid. The geometry is mechanically aligned and calibrated. If required, it can be readjusted by the user at any time. The ease of use is at the forefront of BWT. This is also ensured by the built-in linear scales from Mitutoyo. Operation is known for the frequent use of Mitutoyo calipers in garages. The spare parts supply is also secured at all times. This means that with the BWT Compact you are completely independent of service contracts. All service can be carried out without problems by our staffs. Do you have any questions about the productBWT Tool Presetters?